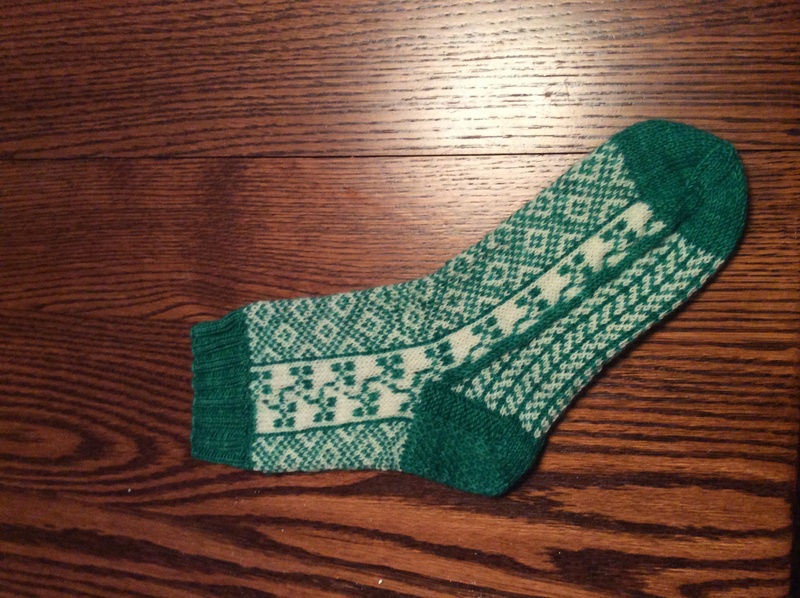 Pattern is a mash-up of "The Green Isle" from "Knitted Socks Around the World" (foot and instep) and "Fibonacci" from "Op-Art Socks" (sole pattern). The yarn is Franklin Natural that Herself and I dyed (green) and natural....and it's.....it's prettier than I had imagined. I was going for a nice, dark Emerald...not this lovely Kelly. This, though - THIS is perfect. 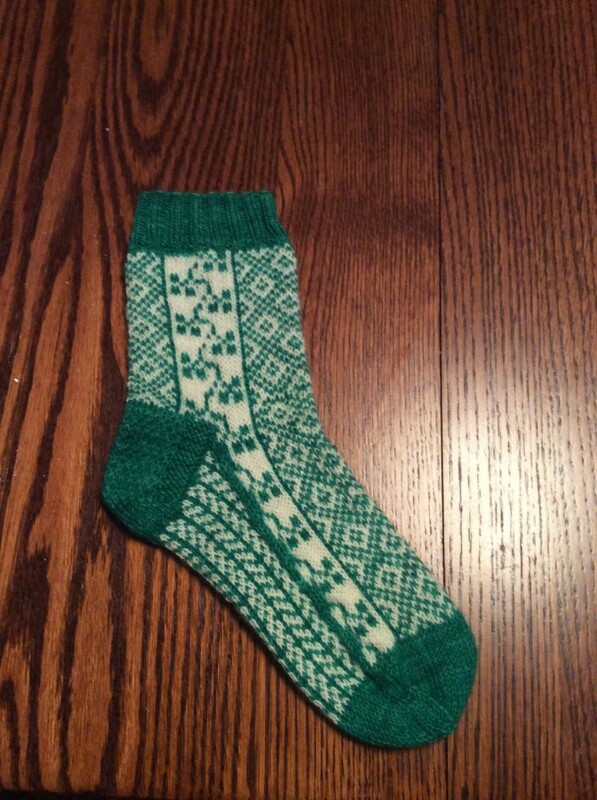 The pattern and the yarn and the colors work beautiful. :sigh: I LOVE it when things work out like this! Shabbat Shalom! I have to cast on another sock! This entry was originally posted at http://fiberaddict.dreamwidth.org/787855.html. Please comment there using OpenID.